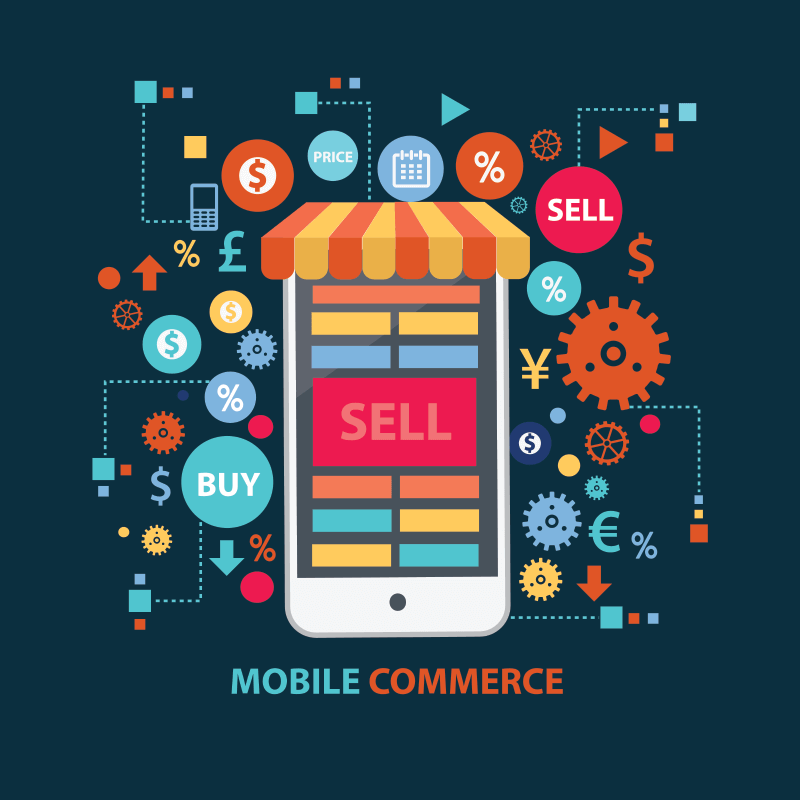 Retail Businesses mCommerce | Also Creative Inc.
We all know that mCommerce is more than just a trend, it is quickly becoming a way of life. As users of mobile devices we also know that it takes something exciting to capture our attention and to keep it, especially when it comes to mobile apps. When you are looking into creating a mobile app these are some important things to focus on. It is great to have important information such as locations and phone numbers available on your mobile app, but if that is all that it has to offer it could be a major flop. This information alone is not enough to stay on your customer’s mobile device. Your mobile app is a direct reflection of your business. The quality of the photos and graphics used show the perspective quality of your products and services. To consumers an attractive app or website typically means a successful and trustworthy business. A points system is a great way to keep your customer engaged in your app, especially if you are looking for a way to create relationships with returning customers. This can be implemented by allowing customers to earn points per dollar spent, or based on the number of products purchased. Using a gamification strategy such as this will keep customers engaged in the app. Depending upon the products you offer, it could become part of your customer’s daily or weekly routine (for example coffee, gas, or groceries). Special coupons and deals as well as exclusive content available only on the mobile app will give customers additional reason to hang on to it. Don’t just create an app that provides value for customers, but implement features that provide your business with clear, useful data that can improve your marketing and operations. By using beacons you can use bluetooth technology to connect with customers when they are in or near a store. Send push notifications to your customers to inform them of special offers or promotions while collecting meaningful and valid data about their shopping habits to improve their overall experience.